We would be hard pressed to find one person who can honestly say that he or she has kept every New Year’s resolution they have made. That’s because resolutions tend to be broad, general wishes rather than planned, attainable targets. The month before the summer season is a great time to recommit to your resolutions and make them into thoughtfully planned goals. Preparing for your goals is the best way to equip yourself to achieve them. We’ve listed a few tips that will help your goals be more attainable and realistic. Nutrition. Many people use the turning of the New Year to try a new diet; however, most of these diets don’t make it past January. That’s because they are often based on gimmicks and promises of quick results. If you truly want to make lasting changes in your health levels, first speak with your doctor(s) about what is safe for your current health status. Then, look for a wellness program that emphasizes a well-balanced nutrition plan appropriate for you. Starting a food journal, or using a food logging app can help you stay on track. Summer is a great time to find fresh fruits and vegetables and learn creative ways to prepare them. Fitness. 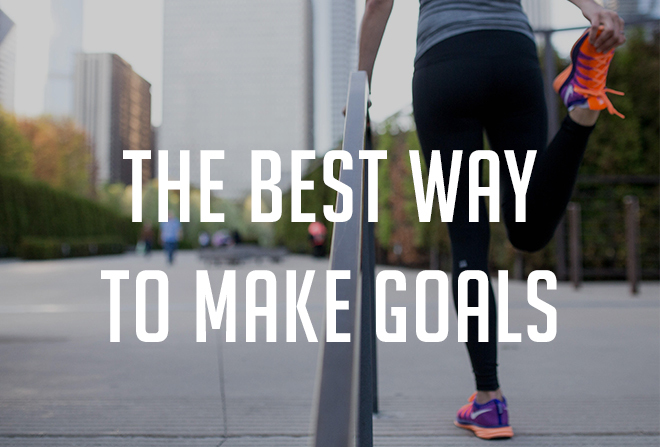 After nutrition goals, the second most common goal for the New Year are fitness goals. In January, it’s easy to believe that you can dive into a high intensity workout time that requires a hefty time commitment. Although it’s good to challenge yourself, statistically you’re more likely to keep up with your commitment if you choose to set your goal as something that’s only a step above what you’re already doing. For example, if you don’t usually do any physical activity it may be realistic to make your goal to take a 15-minute walk every day instead of signing up for your local HIIT Training Class 5 times a week. As the weather is warming up, try something that you would enjoy outdoors. Emotional. Most of us can make a point to try to be less stressed, however, without a plan this goal can actually make us more stressed. Whether you decide to start a journal or take up walking, make sure that the solution is something that can realistically fit into your schedule regardless of your season of life. Emotional goals can give you the opportunity to “bundle” your other goals. If cooking or walking serve as a tool for your relaxation, you’re not only fulfilling your emotional goals but also your fitness and nutrition goals. Your goals might not fall into any of the categories listed above, but that doesn’t mean that the same methods don’t apply. The strategy is the same for whatever goal you set – make a detailed plan with specific steps, set a realistic timeframe (for realistic goals), and stick to a deadline. And perhaps the most important of all is to get others involved. Have close friends, family, and or colleagues help keep you accountable.